When And How Often Do You Start Giving Baby Bath At Night? 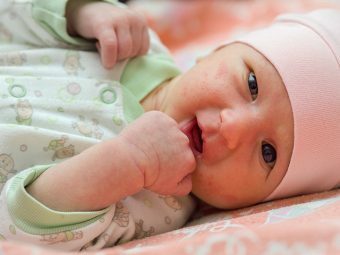 When And How Often Do You Start Giving Your Baby A Bath At Night? Are you back home with your baby and a bit apprehensive about your new maternal duties? Are you eagerly looking forward to bathing her each night but not sure how to go about it? 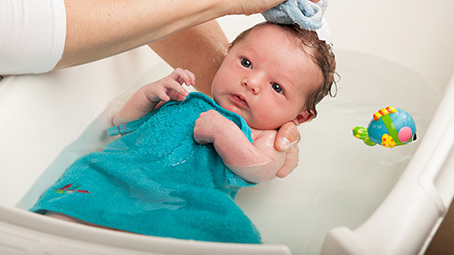 Bathing your baby is one of the first important tasks you will take on as a parent. 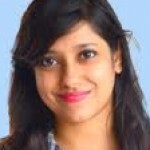 With such a tiny baby in your arms, it can be quite a scary and slippery affair. Read on to know when you should start bathing your baby and learn handy tips to master the art. When Do I Start Giving My Baby Bath At Night And How Often? Your baby already had her first bath right after her birth. She has already experienced her first soak in the tub and got her first soap cleanup while still at the hospital. Now that you are home, you will be giving your baby a bath. To start with, it is important you know the basics of bathing your baby. At this age, your baby still does not need a bath every day or night. You should start by bathing your baby probably two or three times a week. Giving her a bath each day can easily dry out her skin, as it is extremely delicate. You need not use soaps every time you give her a bath. Using plain water to clean your baby is good enough. If the weather is hot and your baby is sweating, you can use a damp and soft washcloth to clean her. You can also wet your hand and lightly clean your baby’s face, eyes, and mouth. Ensure you clean the ear, neck, under the arms, behind the knees, hands, thighs and the diaper area. Whether you want to bathe your baby in the daytime or at night is entirely your choice. While giving your baby a bath, it is always a good idea to choose that time of the day when you have enough time on hand. You should not be in a situation where you need to rush while giving your baby a bath. The timing also depends on your baby’s comfort. It is also important to ensure that your baby is not too tired, too sleepy or too hungry. If your baby is very irritable, it may get difficult for you to bathe her. Time your baby’s bath in such a way that she is neither too hungry nor too full. Giving your baby a bath at night can be a comforting sleep time routine. You can prepare a warm bath and lightly massage her body. If your baby does not sleep well, a soothing bath can help her relax and sleep better. How and where you are bathing your baby depends on your comfort. You can bathe her in the bathroom or even in your bedroom. Whenever you are giving your baby a bath, you need to make sure that the temperature of the bath and the room is warm. 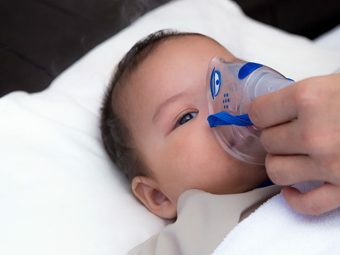 It will prevent your baby from catching a cold. Ensure you keep all things handy before you take your baby for a bath. Keep a big soft towel on the bed and place items like baby’s body oil, moisturizer, hair oil, talcum powder, diaper and diaper rash cream near it. Take out the clothes that your baby will wear after a bath and keep them ready on the bed. Your baby will probably be hungry after a bath, so make sure you have all her feeding essentials are in place too. It is normal to be a bundle of nerves as a first-time mother, but there is no escaping your motherly chores. Just remember, you and your baby will learn to enjoy the bath sessions more and more with experience. So do not get nervous, just relax and enjoy the moment. Baby bath every night is a great bonding time. You can sing to her, massage her and let her feel the water. Make sure you make the most of these bathing moments. If you have any special baby bath-time stories to share, do write in the comments section below!